The challenges of daily living often place a great burden of stress on our mental, physical and spiritual well-being. For the most part, we live out our complex lives managing our responsibilities on our own, but sometimes our trials go far beyond our ability to cope. Stephen Ministers are caring Christian laypeople who offer a listening ear and an empathetic heart to people in the community who may be facing unbearable stress, loneliness, grief, or chronic illness. They are ready to provide discreet and confidential support to those who are burdened. 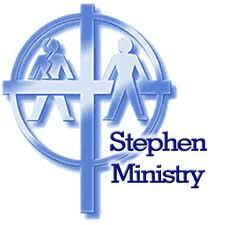 Stephen Ministers are trained as supportive listeners for those who may be struggling to make sense of their life crisis. If you are interested in meeting with a Stephen Minister, or would like to know more about becoming a Stephen Minister, contact Pastor Marc Stroud at (360) 679-1561.